Russian Holy-Trinity Sobor (Cathedral) is a parish of the Orthodox Church in America. Until 1970 the Church was an integral part of the American Metropolia of the Russian Orthodox Church. In that year, the Holy Synod, headed by His Holiness, Patriarch PIMEN, gave administrative self-governance (independence) to the Metropolia, through the granting of a Tomas of Autocephaly, which established that this portion of the Russian Orthodox Church would be independent of the Moscow Patriarchate in its future liturgical and administrative life, as this daughter-Church had attained to the status of a sister-Church, with vision and strength to function separately from the predecessor being at the same time in full communion with its Russian Orthodox mother-Church. Our parish is located in the capital city of the province of Manitoba, Winnipeg, and is found in the area known as the "North End," the home of the first Russian and Ukrainian settlers. It is a part of the Manitoba-Saskatchewan Deanery of the Archdiocese of Canada. The history of the parish is very interesting. The church was blessed in 1905 by St.Tikhon, Patriarch of Moscow and All Russia, enlighter of All America. For a long time, St.Arseny, archbishop of Winnipeg and all Canada served within the walls of the Holy Trinity temple. Many other priests and parishioners were helping to create this church with their prayers. All rites and services in our cathedral are done according to the traditions and teachings of Orthodox Church. Here you can find the schedule of services. All religious rites (baptisms, weddings, funerals, memorial services, prayers for health, blessing homes, cars, businesses, etc.) are made by appointment with the priest. 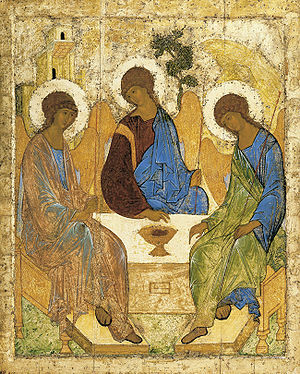 If you wish to come to the Church during the week (to pray, light a candle, get some blessed water, order a prayer service , a requiem service - panikhida, or leave a prayer note for health or departed, or venerate the holy icon of the Mother of God of Pochaev), please call Fr.Roman to arrange your visit.